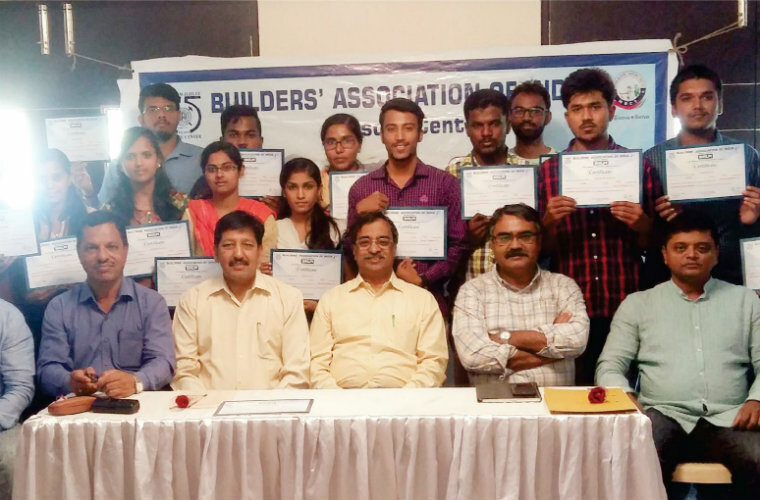 The valedictory of the internship programme, conducted by Builders’ Association of India (BAI), Mysuru Centre, for Civil Engineering students of ATME College of Engineering, was held at the Association premises recently. More than 30 students participated in the programme. Past State Chairman and senior Member of BAI Mysuru, M.S. Nandakumar, was the chief guest. Chairman of BAI Mysuru N. Subramanya, Hon Secretary B.S. Dinesh, Chandrashekhar Bhardwaj, K.T. Govindaraj and Santosh Mirle of Shilpi (Students Wing of BAI Mysuru) were present. Certificates were distributed to students who have submitted the project report and successfully completed the internship programme.